Fibre can be run over longer distances, PROCENTEC offer up to 30km on single-mode fibre. Typically, 2km on multi-mode. The inherent electrical isolation means that the complicated story of earthing on PA systems is simplified to just the field area. In other words, the complication of Earth loop current over long distance is avoided. Will multi-mode or single-mode fibre be used? Or is there a mixture? What connector types will be used on the fibre? Is a fibre redundant ring required? 3) All of the above implementations could be implemented using single mode fibre. Simply replace the multimode fibre module with the Single-Mode Fiber Optic Ring (101-201531). COMbricks is a modular network component solution with flexibility to meet almost any type of network architecture. All COMbricks head stations can be connected to the local LAN and be used to remotely access and view the health of the segments the COMbricks modules are attached to. 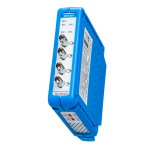 They can even be configured to issue email alerts if a PROFIBUS error has been detected on the segment so that it can be addressed before it causes a failure. This is part of your pre-emptive maintenance strategy.